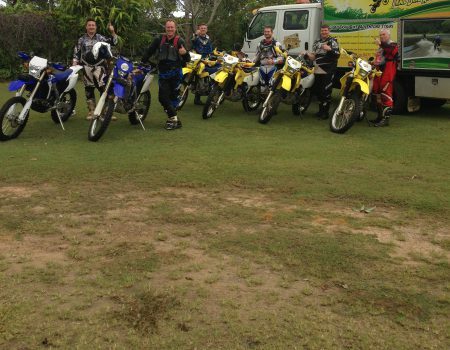 One day Cairns trail bike tours through the Wet Tropics World Heritage route via the Black Mountain Road to Mount Molloy. Come and enjoy our one day trail bike tour and explore the mud, ruts, logs, hills, creek crossings and more with North Queensland Trail Bike Adventures. The tour begins from Koah, where riders start the scenic route through awesome trails. Food, gear, photos and a good time are all inclusive of the one day guided trail bike tour.